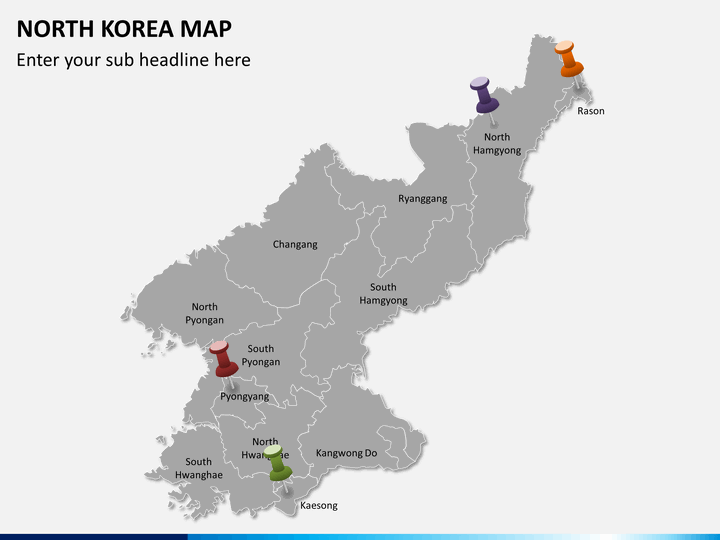 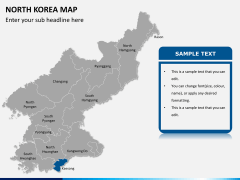 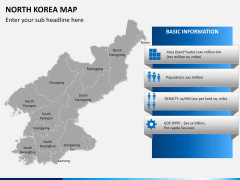 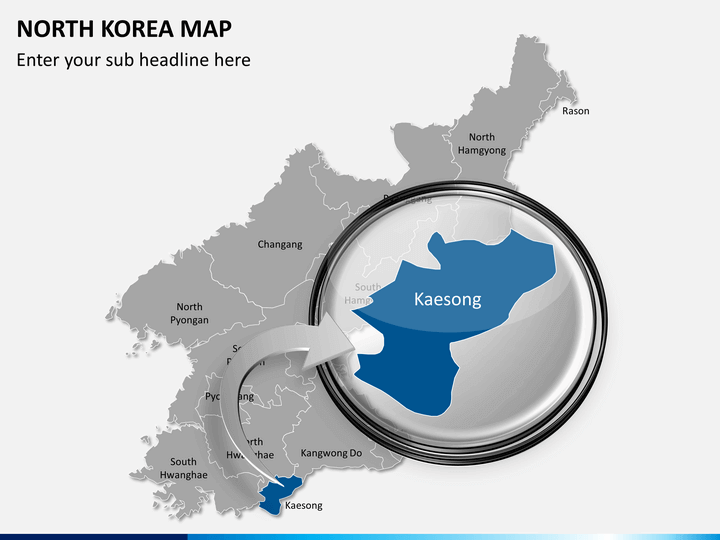 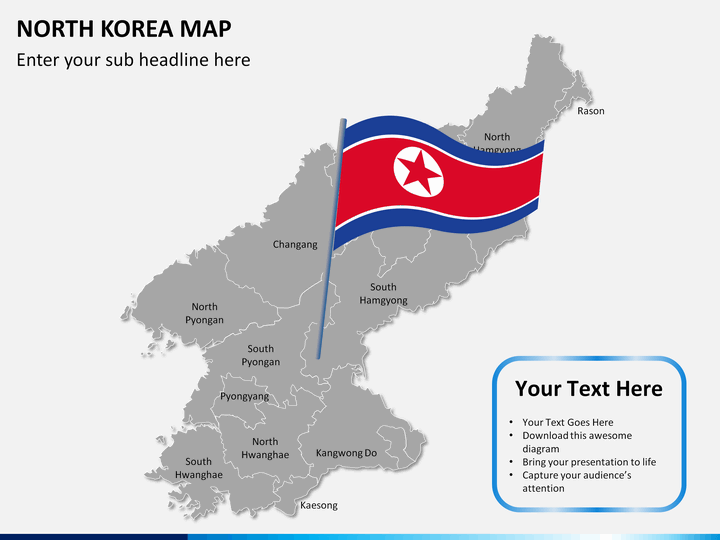 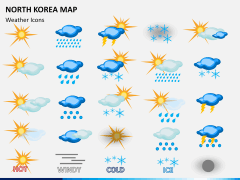 Fully customizable and professionally built PowerPoint North Korea Map Template for remarkable presentation results available for immediate download. This template is also available for Apple Keynote and Google Slides. 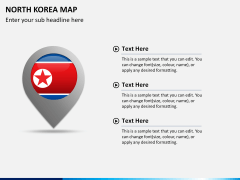 No thanks continue to checkout North Korea Map Template . North Korea came into existence after the division of Korea in 1945. Ever since, the country has been a subject of discussion due to its closed policies. With the help of these editable and professionally drafted PowerPoint maps of North Korea, you can easily educate your audience about it. 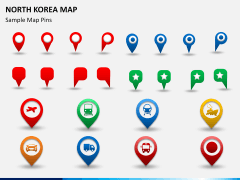 The set has been drafted by our experts and can be used multiple times without any trouble. Known as the Democratic People’s Republic of Korea (or DPRK), North Korea came into existence after the division of Korea. 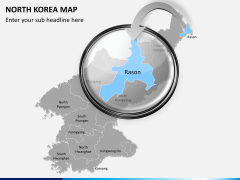 It is bordered by Russia and China on one side and South Korea on another. The separation line between the North and South Korea is known as Korea Demilitarized Zone and is one of the most violent territories. 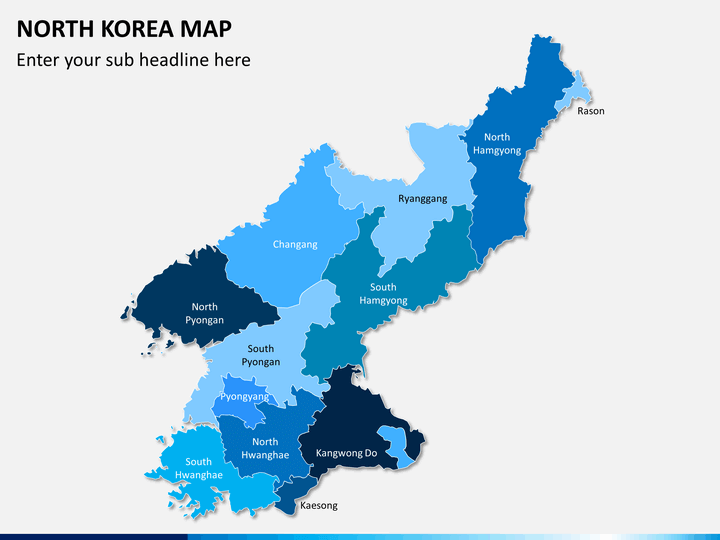 The country follows a military-first policy and has the fourth largest army in the world. 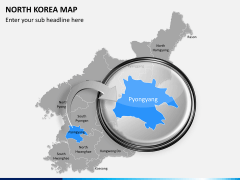 It is often criticized for the violation of human rights and is the home of around 25 million people. Pyongyang is its capital and biggest city. 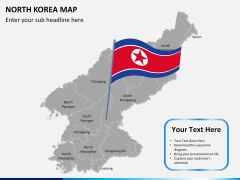 Using these maps, you can easily provide all sorts of details and well-researched information about the country in a visually appealing manner. 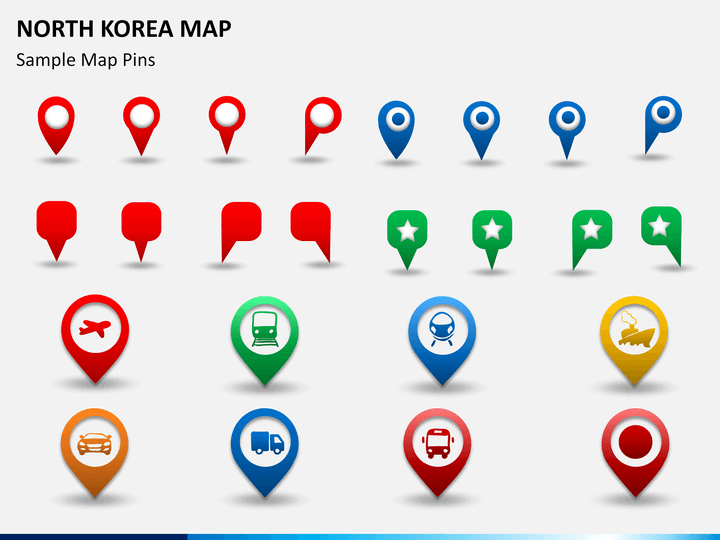 We have included different styles of maps in this set that you can readily use or customize without any prior designing experience. 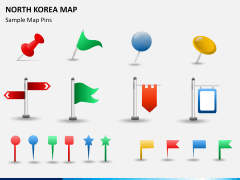 The political maps of the country have depicted all the major regions, its capital, and other important territories. 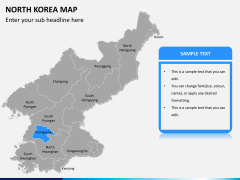 Besides that, there are also readily available maps that can be used to provide demographic, geographic, climatic, and other details about the nation. 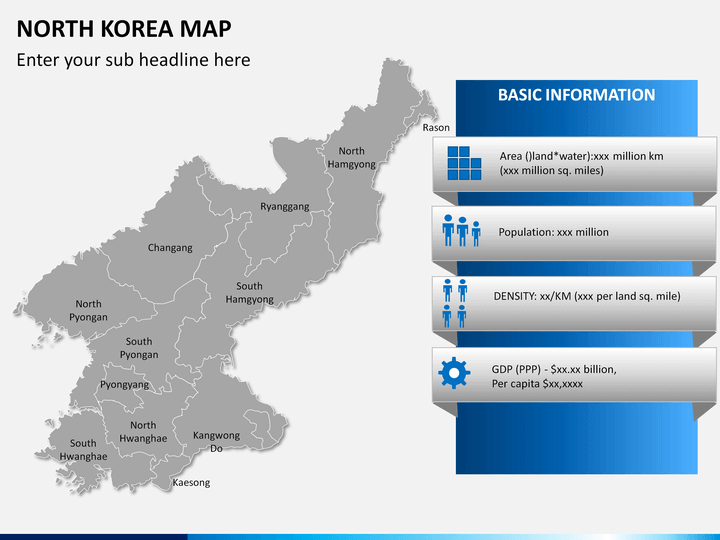 If you want to focus on any region, then you can just zoom it. In this way, you can truly customize these maps. 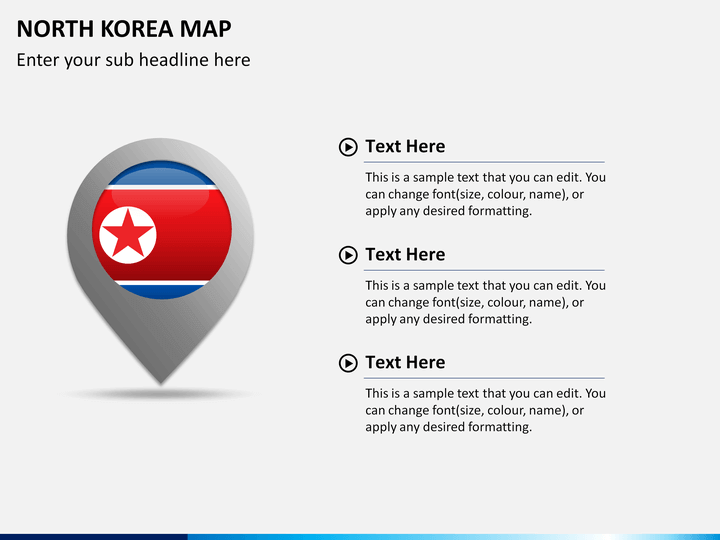 Just clip out any map from the set and include it in any other document of your choice. This template is available for PowerPoint, Keynote, and Google Slides. 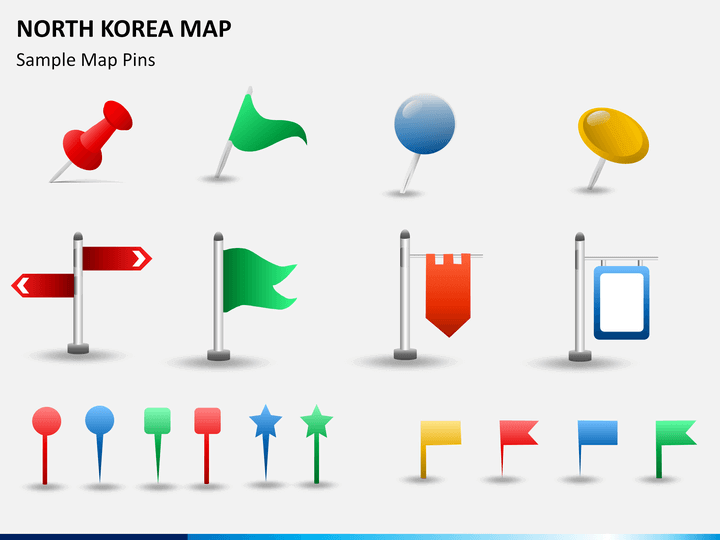 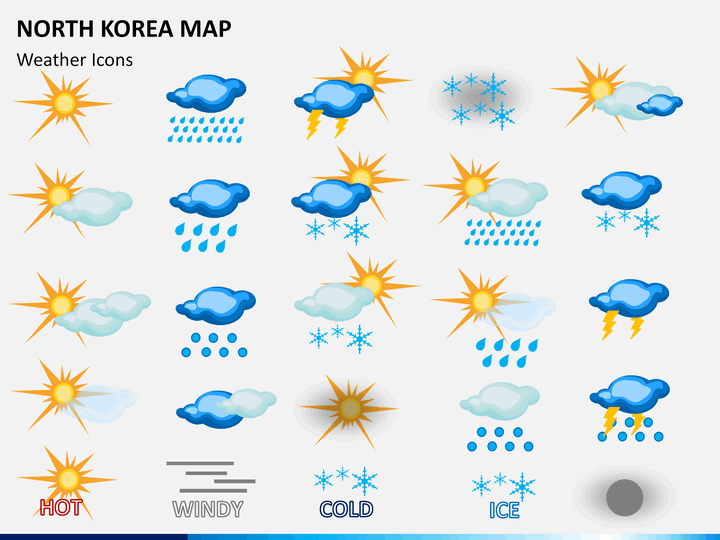 You can also find flags, icons, and other vectors in this set. 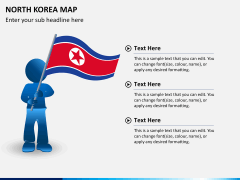 The set can be used by educators, political activists, researchers, journalists, and every other individual who wants to educate their audience about North Korea. 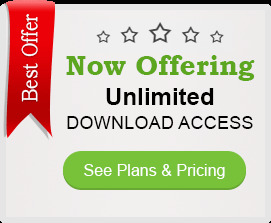 Since the set comes with a dedicated customer support, you would be able to use it without facing any unwanted complication.